Catherine Deneuve and Brigitte Bardot, Isabelle Huppert or Sophie Marceau, Juliette Binoche and now Marion Cotillard, Audrey Tautou: surely by now, you are familiar with these great neames in French cinema. Yet, did you know from the moment you saw them on screen that they would go as far? For instance did you ever think when you saw Marion Cotillard in Taxi that she would one day win an Oscar? Let's try and give you a head start and identify for you who the next female stars of French cinema are likely to be. Before becoming one of the sexiest French actresses in the world, the gorgeous, spicy and amusing young woman studied fine arts, but started working in television after her degree and got famous as a goofy weather presenter on Canal Plus. Spotted by the famous French actor, Fabrice Luchini, she got her first role along with him in The Women from Monaco (2008, Anne Fontaine). The film boosted her popularity which led to roles with Luc Besson (Adèle Blanc-Sec) and Frédéric Begbeider (Love Lasts Three Years). Very romantic, she has become quite discrete about her sentimental life after her break-up with the French singer Julien Doré. Blond refined and elegant, Guerlain's muse seems to be the perfect incarnation of Parisian beauty. But not only is she very natural and simple, she is also an extraordinary mix of cultures (Austrian and Egyptian). She started her career in cinema in Christophe Barratier's Faubourg 36, and has since appeared in French and Hollywood movies. Inspired by Quincy Jones, Billie Holiday, Sarah Vaughan or Katie Melua, she spends half of her time devoting herself to her second passion, music. The gorgeous black haired and dark skinned model for L'Oréal, lights up every place she goes to. 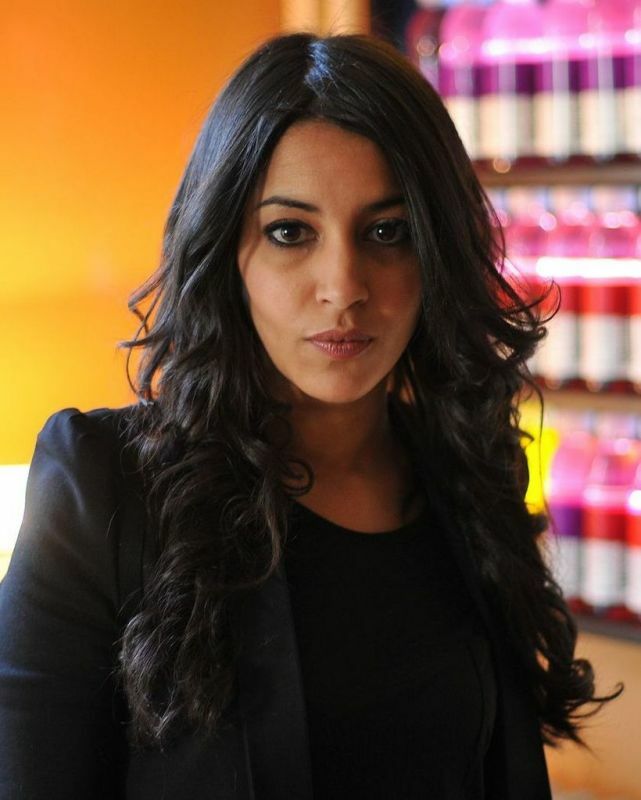 Born in suburban Paris in an Algerian family, she used to look up the casting classifieds adds every week, and finally got a role with Vincent Cassel in Sheitan, an award with Tout ce qui brille (Géraldine Nakche, 2009), and international recognition with The Source (2011, Radu Mihaileanu). Cinema is all her life, and even her husband, the actor Tahir Rahim (The Prophet, 2010) is part of it. But she does not dream too much and works on each movie as if it were the last. She is only 27 years old, but she is already slaloming between French auteur cinema and Hollywood blockbusters. Unattainable Princess of Cleves in Christophe Honoré's The Beautiful Person (2008) or invincible killer in Mission Impossible 4: Ghost Protocol (Brad Bird), the young Renoirian beauty has already seduced all the fields of the film industry. Léa Seydoux is also very stylish, renowned for her grace and her innocent face used in Prada's add for the Candy perfume. Dazzling and glimmering, Déborah François is French cinema's new phenomenon. Born in 1987 in Belgium, the young woman would never have thought she could get into the film industry, but her amazing energy made her stand among the crowd. She started with in the Dardenne brothers' movie, The Child (2005), which got the Palme d'or in Cannes. At 27 years old she has already played with Sophie Marceau or Marc-André Grondin and won the César of the Best Female Newcomer in 2009 for The First Day of the Rest of our life. But her talent is going to be revealed to the public in Populaire (Régis Roinsard), her next movie already compared to Amélie Poulain or The Artist, where she plays a skillful typist along with Romain Duris. 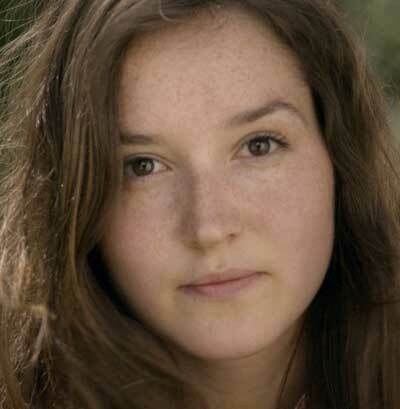 Isabelle Hupert-like upcoming actress, Anaïs Demoustier has always dreamt of acting. She was influenced by her older brother, who became a film director and producer, and took drama and singing classes, where she was spotted for the first time. Her career really started two years later, in 2002, when she was chosen to play with award-winning director, Michel Haneke (Time of the Wolf, 2002). This mind-blowing experience definitely convinced her to dedicate herself to cinema and she flew away to Paris to make herself a name. Now, she is only 25 but her cute freckles have seduced more than one director and led to roles with Michel Serrault, Jean-Pierre Daroussin, Nathalie Bay or Juliette Binoche. Lunar and enchanting, she is very discrete on her private life and considers that acting is a job like any other, requiring rigour and seriousness. A great admirer of Isabelle Huppert, she has always preferred playing in auteur films to fame boosting blockbusters. One of the most promising newcomers in French cinema, whose enigmatic name comes from the German lyrical singer, Christa Ludwig, has already a grand career. She played under the direction of Costa-Gravas and Bertrand Blier, along with mythical actors such as Sophie Marceau, Gérard Depardieu and Jean Dujardin. This Parisian born 21-year-old girl has everything of a grand actress. Yet, she did not choose cinema, cinema chose her. She was spotted in her school and then got famous with LOL (Lise Azuelos), and has never stopped acting since. Today she is highly awaited as Renoir's muse in Gilles Bourdos's latest movie and in The Man That Laughs along with Gérard Depardieu, Emmanuelle Seigner and Marc-André Grondin. She might be a raising star, but she does not much like the mundane parties that surround the film industry. Most of her friends are not actors, and she prefers enjoying what she has without pressuring herself too much. This Quebec dazzling model and muse for Lotita Lempicka, started her career on TV as another goofy weather presenter on Canal Plus. Electric, delirious and spicy, she quickly found her style and charmed the public with her Quebec accent. In 2011, she made a start in the film industry with Clément Michel's film The Stoler Plan and charmed our French icon, Obélix, in the role of Ophelia (Asterix and Obélix: in Britain, 2012). Immediately her beauty and her energy opened the door to promising new roles in The Froth on the Daydream (L'Écume des jours) directed by Michel Gondry and in Yves Saint-Laurent by Jalil Lespert. Smiling, confident and full of energy, Jacques Higelin's daughter and Arthur H's half sister provoked an immense surprise during the 38e César ceremony. She unexpectedly got the Best Female Newcomer Prize for her role in Bad Girl (Mauvaise Fille) directed by Patrick Mille. Check out Bad Girl's trailer in French. Although she did not want to follwo in the steps of her musician father and always dreamt of being an actress, this young brunette started on stage as a rock singer. At 16 years old, she stopped school, created her new album, and went on tour around the world. But the desire to go back to her first aspirations was always there. She had already received quite a lot of scripts, but they never convinced her. It was only when she read Patrick Mille's adaptation of Justive Levy's book (Mauvaise Fille), that she thought this was the right one. The character had so many different emotions and feelings that she immediately signed up and went on to shot. She is only 22 and yet she is already a recognised singer and a promising actress. Funny in Kaamelott, sexual lawyer in Engrenages, Audrey Fleurot has already made a name for herself in French series. This flamboyant ginger-haired actress, characterised by cold and authoritarian looks, started very late in the film industry and is very selective with the movies she chooses. Indeed, she had a very bad experience playing with Woody Allen in Midnight in Paris. She acted on various scenes that were cut out during editing. Frustrated, she also said that the famous American director was extremely cold and distant with her and preferred speaking to Carla Bruni on set. Ever since, she has always been very cautious with the roles she is given. Revealed to the world in Untouchables, along with François Cluzet and Omar Sy, Audrey Fleurot, is a raising name in French cinema and enjoys her original ginger looks to stand out from the crowd. Great list, yes to Anais demoustier! let's hope all of these girls have beautiful careers! I think you missed out on both ends of the spectrum: The earliest name on your list was Brigitte Bardot from the 1950s and a vedette rather than an actress. What about starting with the first decade of Sound which threw up Danielle Darrieux, Michele Morgan, Edwige Feuilliere, and arguably the greatest of them all, Arletty. On to the Forties with Simone Signoret, Micheline Presle (still active today in films directed by her daughter Toni Marshall), the two Madeleines - Renaud and Robinson, the tragic Martine Carol. And these are only names known outside France, taking no account of Viviane Romance, Suzy Delair, Ginette Leclerc, Simone Simon, Suzy Prim etc. NOW we've reached the Fifties and can mention Jeanne Moreau, Annie Girardot etc. But moving forward, how you can omit names like Sandrine Bonnaire, Sandrine Kiberlain, Karin Viard, Anenome, Agnes Jaoui, Sabine Azema, Catherine Frot, Nathalie Baye, Valerie Lemercier, etc is baffling and surely Victoire Belezy (currently lighting up the screen in the remake of Marius, Fanny, Cesar), and Cecile de France should be in your top ten - and this is an Englishman writing. Elle merite d'etre inclus a cette liste de grace, beaute' et talent au feminin!